You can make any night feel like something special by serving dessert with dinner! 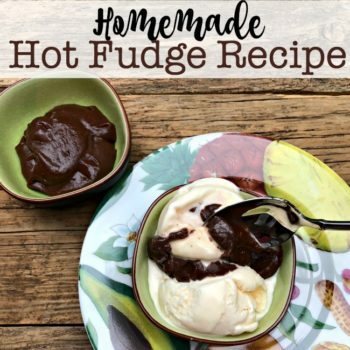 This homemade hot fudge recipe is easy to make (my kids can make it themselves with a little adult supervision around the stovetop), and is delicious served over ice cream or a brownie! 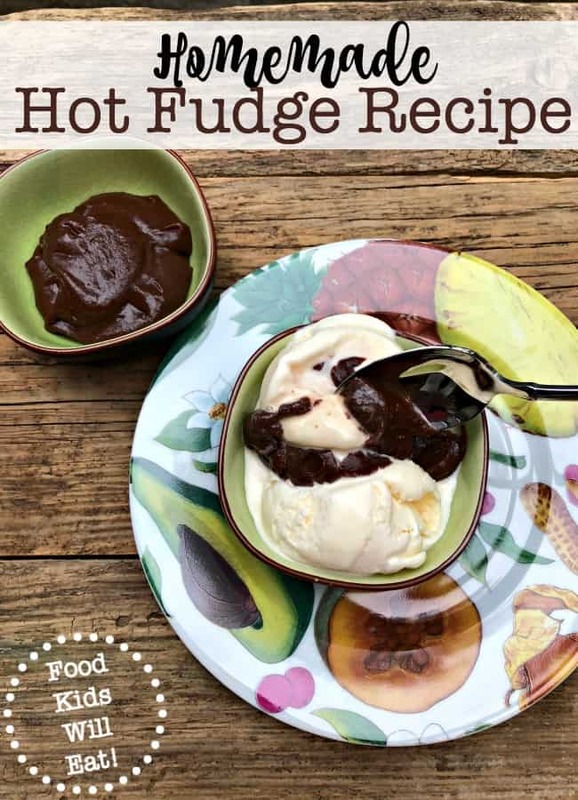 This homemade hot fudge recipe is easy to make (my kids can make it themselves with a little adult supervision around the stovetop), and is delicious served over ice cream or a brownie! Melt chocolate chips, sweetened condensed milk, butter and water in a saucepan over medium heat. Stir continuously until smooth. Stir in vanilla. Let cool slightly before drizzling over ice cream! « Chocolate Chip Cookie Bars!